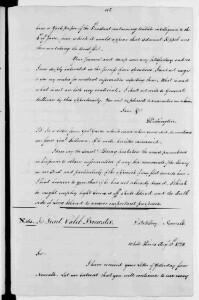 Caleb Brewster correspondence with General George Washington. 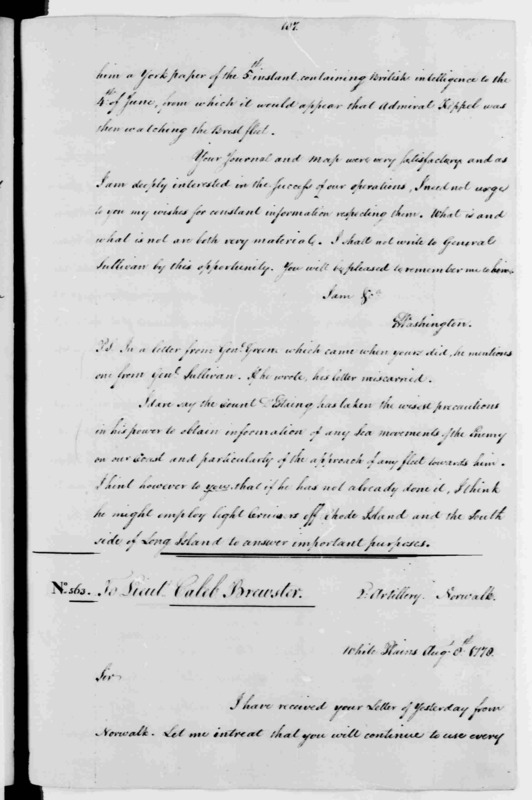 The Caleb Brewster Project is a digital archive of letters between Black Rock, Connecticut’s Caleb Brewster and General George Washington and other members of our nation’s first intelligence network. The site seeks to demonstrate, through attention to the letters and text of correspondence, a greater understanding of the role Caleb Brewster played in the American War of Independence. Click here for index of all correspondence. This is a Bridgeport Digital Humanities initiative. Text and actual letter images are side by side in a data repository. The goal is to achieve more understanding and appreciation of our historic heritage while celebrating and preserving the history of Black Rock, Connecticut. 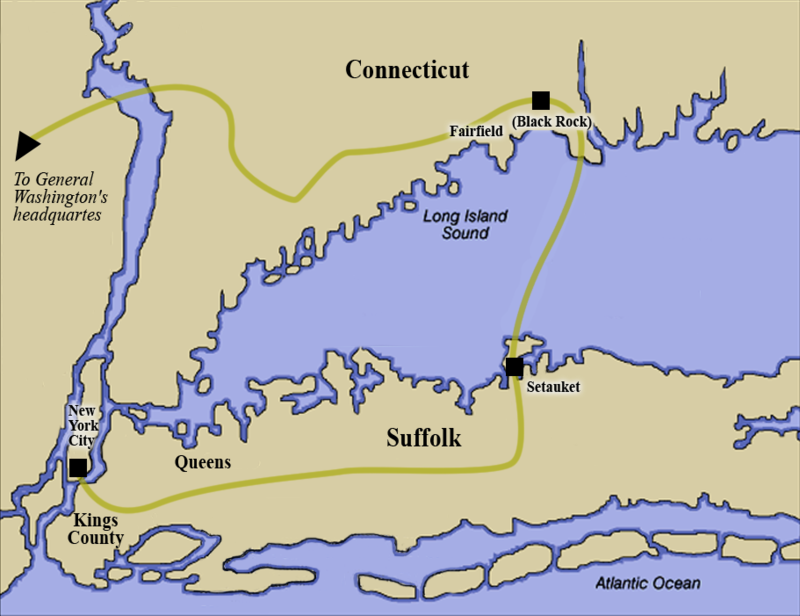 Caleb Brewster was originally from Setauket, New York, until the British occupied the area, at which point he fled to Black Rock, Bridgeport (then part of Fairfield), Connecticut. General George Washington counted on a network of spies to win the War of Independence, the Culper Spy Ring. When George Washington withdrew his troops from New York City during the War, he made the mistake of not setting up a spy network beforehand, something he did implement later when he withdrew troops from Philadelphia. And with New York and Long Island occupied, and French ships arriving soon to help, Washington became increasingly dependent on good intelligence for winning the war. The Culper Spy network was the first of its kind in the United States and so secretive were the members of this spy ring, that it was not until 1930, that all their true identities were known. Many of the letters Brewster wrote and received, have been preserved in archives but not consolidated into one site as this site does. The letter scans on this site are all from the Library of Congress, though not all of transcriptions can be found there. Some of the transcriptions were located from other sources. The historical letters also offer a closer look at two geographical areas on the right side of this map. The areas played a larger role in the American Revolution than may have been credited with. The areas are the Black Rock section of Bridgeport, Connecticut as well as Setauket Three Village area of Long Island. The Caleb Brewster Project is the first exhibit in Black Rock, Connecticut regarding Caleb Brewster, though recently a plaque was placed at the place of his home in Bridgeport, by the Black Rock Community Council History Committee. 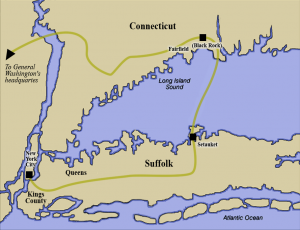 At the bottom of this map, you will see the town where Caleb Brewster travelled to in Long Island, in his whaleboat, to pick up messages from the American spy stationed in Manhattan. The town where he picked the letters up on Long Island has a museum dedicated to this topic, the Three Village Historical Society. Brewster provided key information to General George Washington on British troop movements during the war. The spy ring, circulated important information from a spy in Manhattan, to Long Island, then with Caleb Brewster moving back and forth on Long Island Sound, transferring the message to General George Washington. Apart from acting as messenger for these letters, Caleb Brewster also provided valuable information himself on British troop movements in Long Island. Caleb Brewster was one of our nation’s heroes and patriots. If he were to have been captured by the British, the punishment was death, as was the case with the very first spy, Nathan Hale. 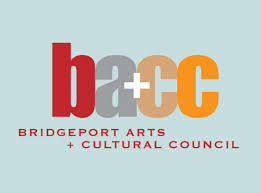 Supported, in part, by the City of Bridgeport Mayor’s Office and the Bridgeport Arts + Cultural Council, 2012.